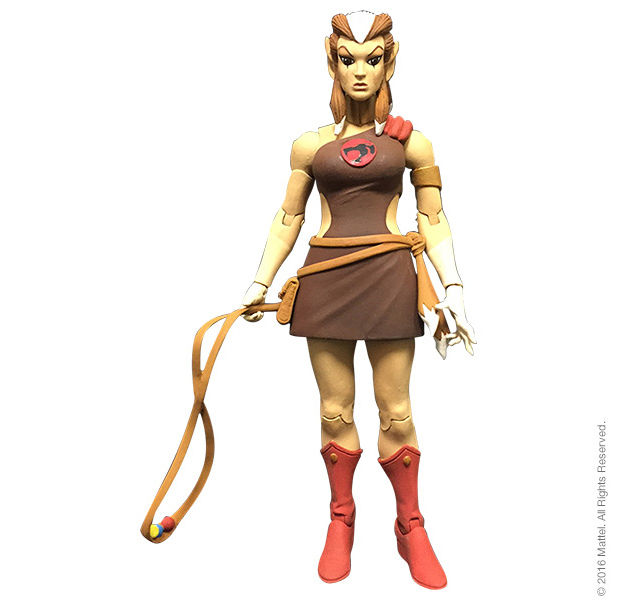 Mattel has an upcoming line of Thundercats action figures, and it’s giving you a chance to reserve all four – Lion-O, Jackalman, Pumyra and Panthro – plus an exclusive Mumm-Ra figure if you commit to its Club Third Earth Subscription. You’ll pay an initial $25 (USD) when you sign up, then you’ll be billed $25 for each figure as it is released. 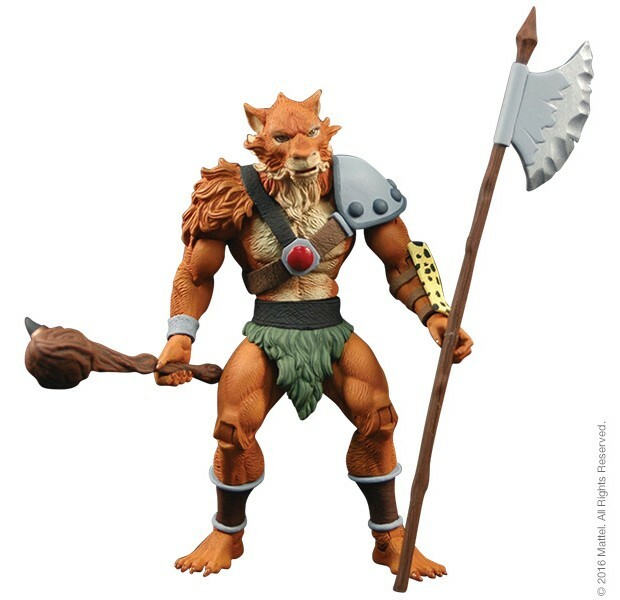 Lion-O will ship 9/16, Jackalman comes next on 10/16, then Pumyra on 11/16 (you’ll also get your Mumm-Ra figure at this time) and finally Panthro on 12/16. The four figures will be available for non-subscribers for $30 each while supplies last. 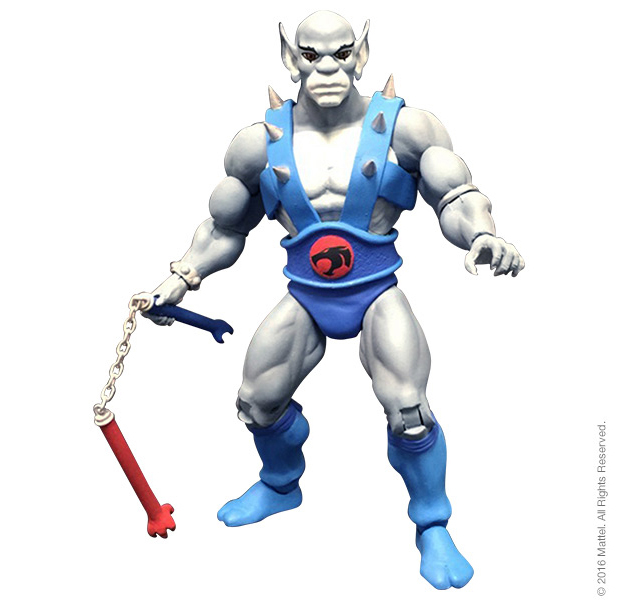 Again, the Mumm-Ra figure is for subscribers only. You can sign up for the subscription either as a single shipment or a monthly shipment basis. The offer is good until 2/26. 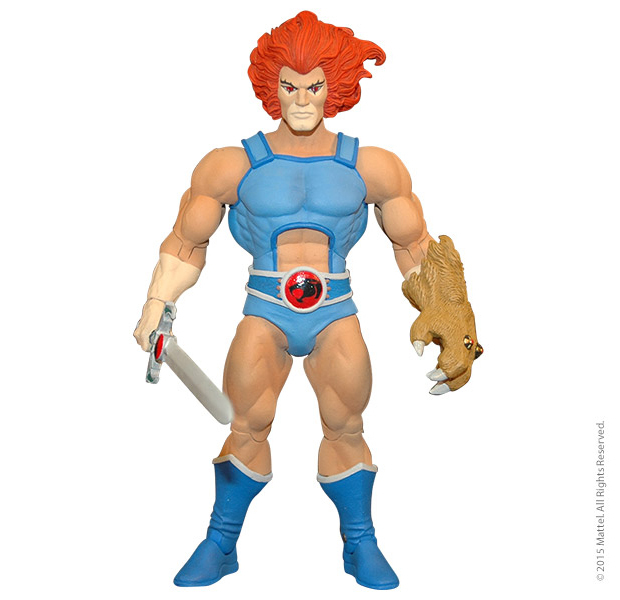 The figures look good enough for their price, though someone needs to tell Lion-O to pull his underwear down a bit.